The Black Bear Manufactured Stone - Ready Stack collection is a stone panel system that was designed for the do-it-yourself enthusiast because of it's easy to install panel system. 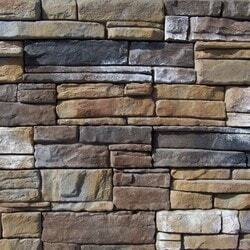 The Black Bear Manufactured Stone - Ready Stack collection has straight lines with rugged stone texture. The Black Bear Manufactured Stone - Ready Stack collection installs up to 4 times faster than typical manufactured stone veneer and is sure to add a unique beauty and elegance to your next project. 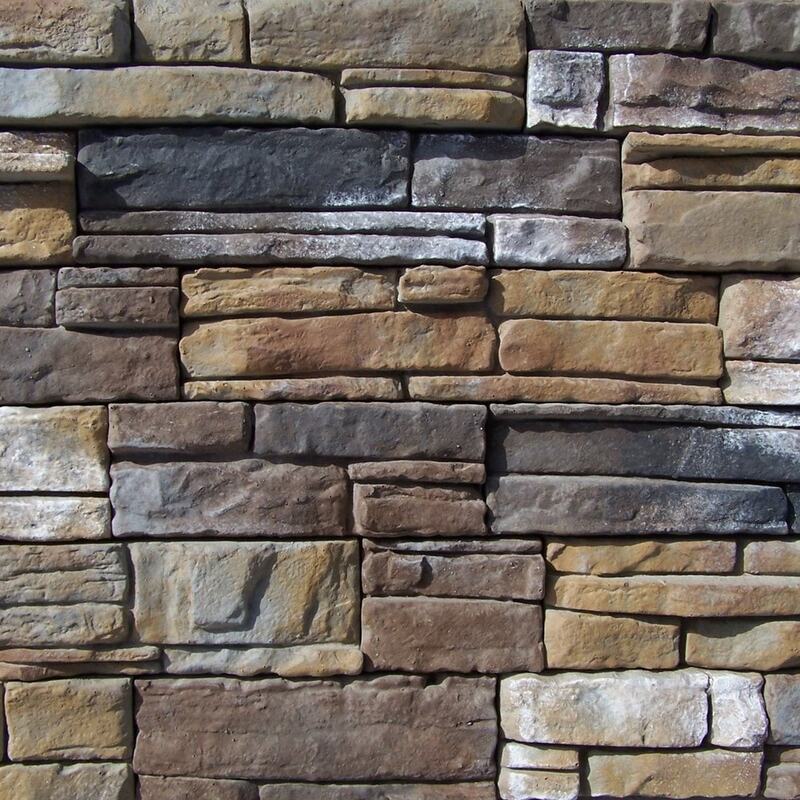 The Black Bear Manufactured Stone - Ready Stack collection is a veneer product measuring 1 1/2"-2 1/2" thick and therefore thinner then traditional stone siding for easy, lighter shipping. Available in boxes of 9 sq ft flats and boxes of 6.5 lineal ft matching corners. Premium Manufacturing: To ensure you get the best manufactured stone veneer, Black Bear strictly monitors every step of the production process for quality control. Enduring Appearance: Made with Color Lock Technology, the face color has bonding agents in it to help protect against fading in harsh environmental conditions. Application Options: Suitable for interior and exterior installations, you can put this collection everywhere from the side of your house to your living room. No Sweat Installation: This incredibly lightweight product has grooves raked onto the back of every stone to provide a sure grip to the wall and a quick installation. Post-Purchase Support: Backed by a 50 year limited warranty, this collection is an excellent long-term investment for your home. Long side 6”, 7 1/2”, 9”, 11 1/2” / Short side 4"